Cardiff quartet Boy Azooga's TV debut on BBC Two represented an amazing opportunity, especially since songwriter Davey Newington, drummer Daf Davies, guitarist Dylan Morgan and bassist Sam Barnes embraced it with such skill and enthusiasm. 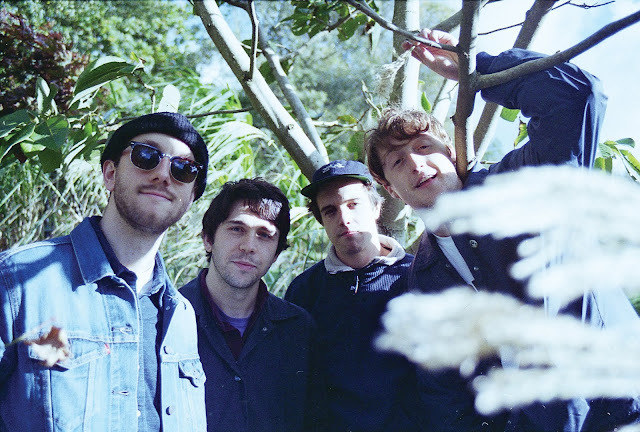 Having only just released their debut album 1, 2 Kung Fu!, It’s All Indie were desperately keen to gain more insight into the world of the playful musical genius Boy Azooga. We caught Davey Newington at Heavenly Recordings' Jeff Barrett's birthday party and Boy Azooga just so happened to be playing (headlining) it. Boy Azooga (Gwenno and The Manic Street Preachers) appeared on the popular long running TV show. The key decision to feature three excellent Welsh acts on the well-established TV strand does say a lot about the focus on music just now. There always has been a significant amount of excellent music coming out of Wales but the good thing is that the rest of the world is paying attention to what can only the described as a genuine buzz about the range of music and wealth of talent. Having fellow Welshman, BBC Radio1 DJ and champion of new music,Huw Stephens appearing that same night meant there was only ever going to be one real theme; the prominence of and focus on the music. Not forgetting the popularity of Welsh cakes. There is a fun, life-affirming playfulness to Boy Azooga’s music. It is creative and intelligent, something which came in handy when they recorded for TV. “We have all been in other bands for years, our intention is to enjoy things and have fun, it is important to enjoy our own music when we perform. If you look as if you are enjoying it people will feed off that and it is a positive experience, it cannot be forced and you have to remind yourself to enjoy it because it is not serious, it is supposed to be fun. Honestly, it was just so great to be asked about Later…and we really enjoyed that moment." 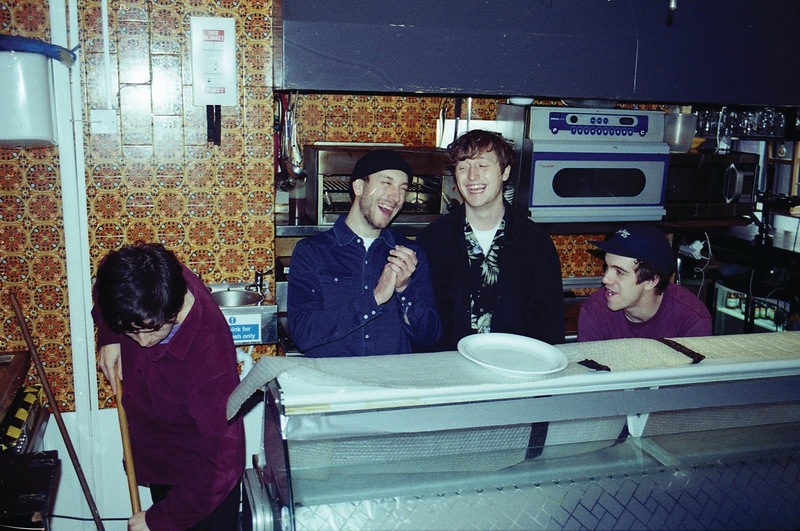 There is little doubt that Boy Azooga already have experienced many special moments as a band. As well as musicianship, the band members enjoy a strong friendship. "When we first got together, it was like 'I love your music, let’s have a jam' and Dylan, who is also a phenomenal musician and an old friend of mine, I always knew, I was going to ask him about joining, he is so multi-talented, he plays drums, keys and guitar. All three are great drummers and that was really important to me." Being from a musical family, Davey comes from a home with a family who enjoys listening to lots of different kinds of music. His parents are both professional musicians. Having their continued support for his ambitions and development during childhood and adult life, as a child, the young six-year-old Davey knew very early on that he wanted to play drums and really stuck with it. As an adult, mastering numerous other musical instruments, he continues to refer to himself as a drummer, who only recently "learnt to play the guitar." Musically, inspired by his art teacher at school,who sent him off to town to buy Can’s Ege Bamyasi, taking musical cues from the likes of Sly & The Family Stone, Black Sabbath, Outkast, Van McCoy, Ty Segall as much as The Beastie Boys and creating wonderful arrangements resembling the much-loved melodic tunefulness of The Super Furry Animals that just about describes him. He also has a massive love of anything Beatles related. Following the completed recording work on 1, 2 Kung Fu! Davey decided to 'recruit' friends to form the Boy Azooga live quartet, an ensemble that swings smoothly from almost filmic instrumentals to a churning rock resembling both Can stretching as far as The Happy Mondays. The band played a run of high-profile shows with Magic Gang, made a much-talked-about appearance at Heavenly Weekender at the Trades Club in Hebden Bridge and sold out several of their live shows around the UK. Remarkably, on the debut, the violin is played by Davey's father, but it is the exception to the 'rule' as Davey plays all the other instruments. There is an incredible amount of musicality, creativity and resourcefulness and it is an entertaining, subliminally melodic and charming album combining genuine eclecticism, musical gift and playful originality. It also makes use of literary references on songs such as Hangover Square, a song inspired by Patrick Hamilton's book. "My dad gave me a copy of Hangover Square. He is an Alfred Hitchcock obsessive, growing up with that influence meant it was just always around the house, it is quite dark but it was great to have it around us. Bernard Herrmann did the soundtrack to the film and when I wrote the song I took some inspiration from the harmony and chords." "That book is really amazing and in a way Hangover Square was one of the easiest songs to write because the story was already there and all I was focused on doing was to capture some kind of mood rather than having to come up with a full narrative." But the producer did not really like Davey’s initial plan and encouraged him to aim higher, “Aim for the stars”. Some networking correspondence with label boss Mark Thomas at Sheik Records followed and a gig in Cardiff led to Davey getting hooked up with Jeff Barrett. After hearing Davey’s music Jeff messaged him that same day saying the magic words “I just heard your music" and things took off there and then"
"I definitely love the interest in our music just now but I never really intended for this to happen. Of course, it is great that there is such a buzz about what we do but it also seems a bit scary because most of my heroes are people who have released several records and obviously have a really extensive back catalogue." "At some point I want us to get to a stage when we are like swapping instruments, we do a little bit now, we swap between guitars, keyboard and bass, I’d love for that to be an on-going thing. A bit like Caribou. It is kind of like that idea, from seeing them live, they dance, move and swap in-between the drums. I really love that, it feels like it is one big party, where you can't have it without the other people and you could never do a gig without one person, it has to feel like a unit."